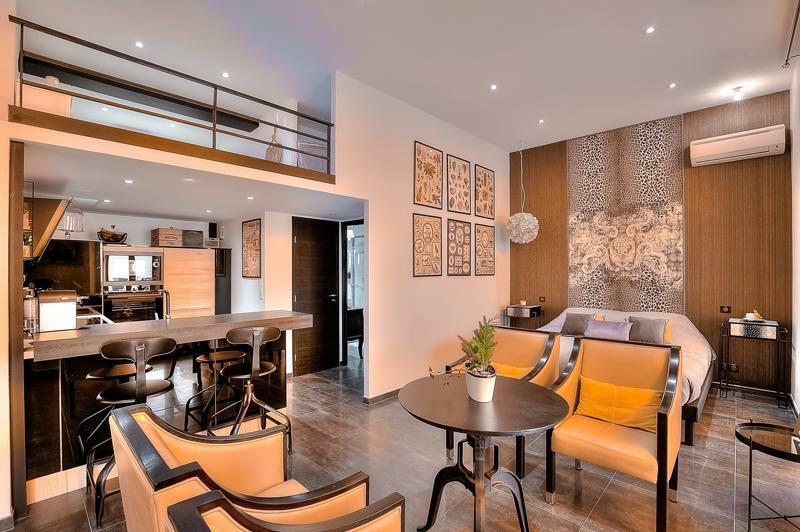 This Cannes rental studio is not your average studio apartment. It is situated on Rue Hoche, a pedestrian street where while taking a stroll you will experience the true essence of the French Riviera. The entire street has the aroma of a bakery shop and one can feel the appreciation of its charm, both from locals and visitors alike. 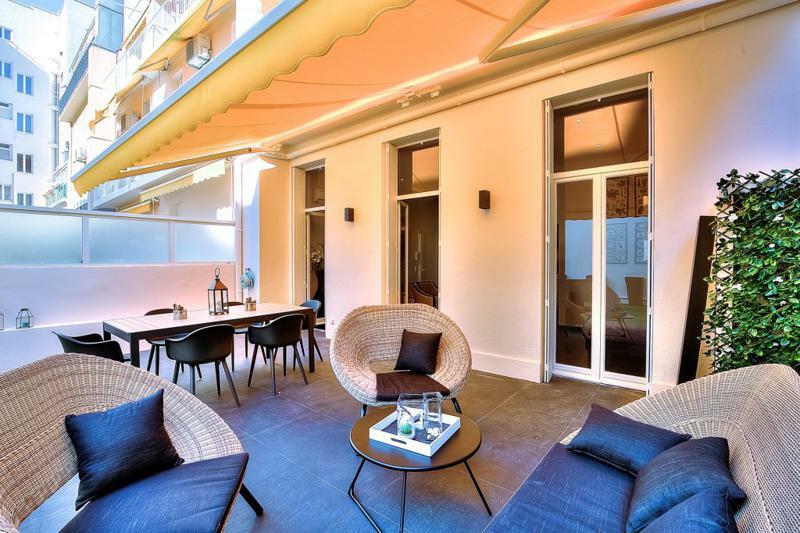 The event apartment is only at 5-minutes walking distance from the Palais des Festivals. The moment you check into the apartment, go across the bedroom/living room to set foot in one of the cosiest back gardens you’ll ever see. 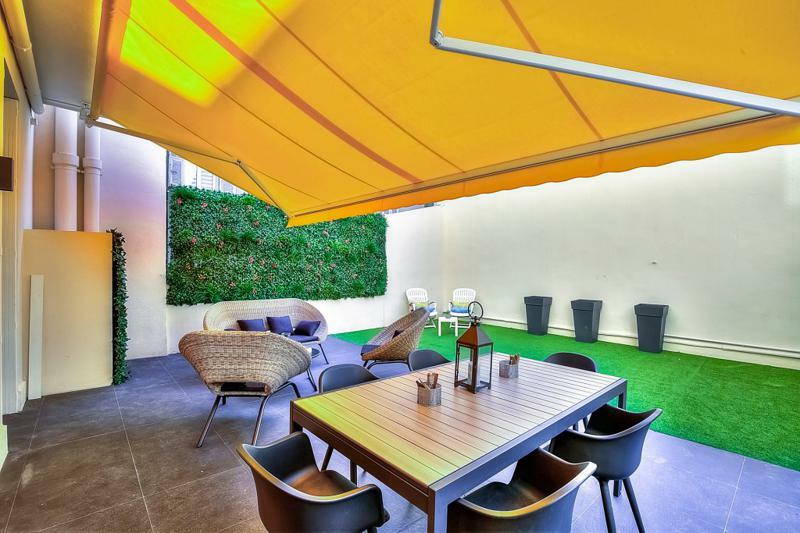 The 60 m2 of terrace space is decorated with a beautiful vertical garden and an artificial turf with lounge chairs for sunbathing. Invite your friends or associates for a small event like a private cocktail party and take advantage of the terrace, furnished with an “en vogue” couch set and a 6-person dining table, ideal for meetings. 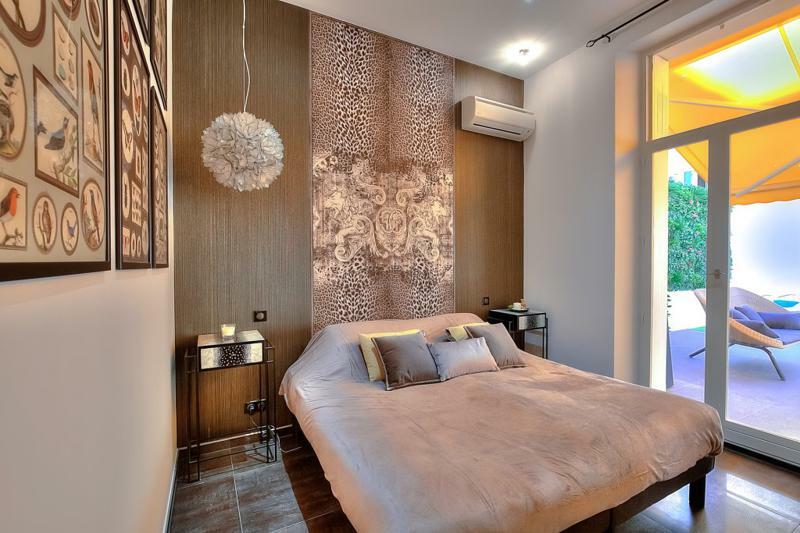 The living room with a double bed and an open kitchen narrate a classic Mediterranean interior design style, and come with air conditioning. 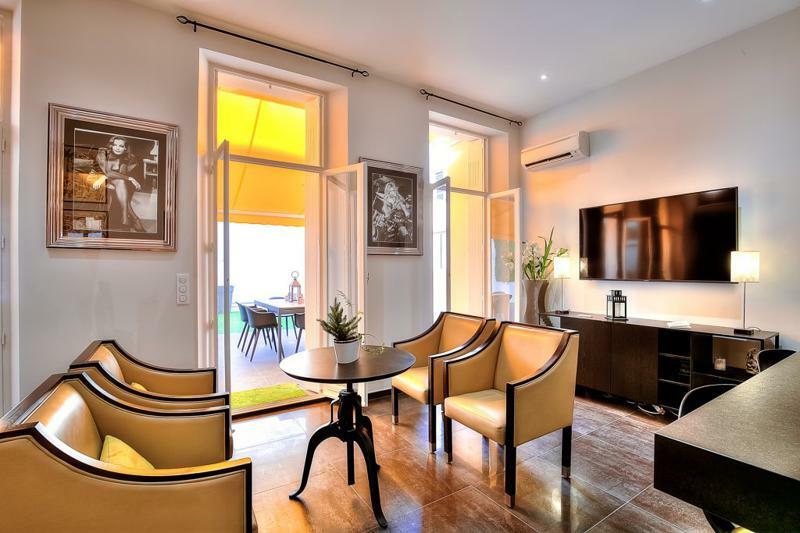 It is furnished with yellow sofa chairs, a round centre table and a large wall-mounted tv. The double bed can be separated to be used as 2 single beds if required. 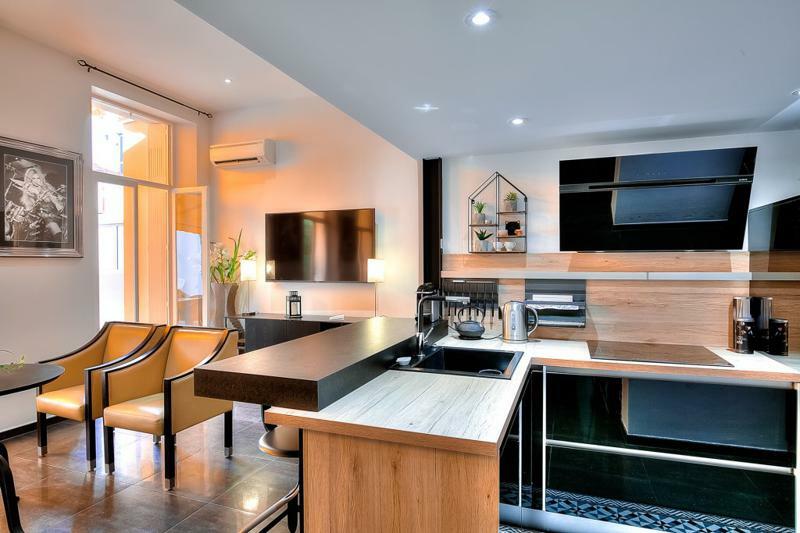 The kitchen is fully equipped with all the appliances and comes with a breakfast bar and 2 bar stools. 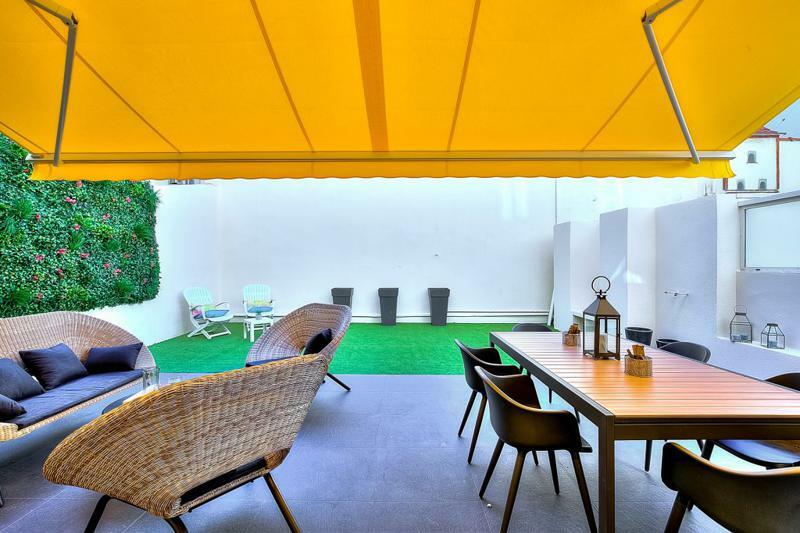 The surprise feature of this Cannes rental studio is not its delightful terrace garden, but rather a stylish mezzanine that offers 2 single beds. 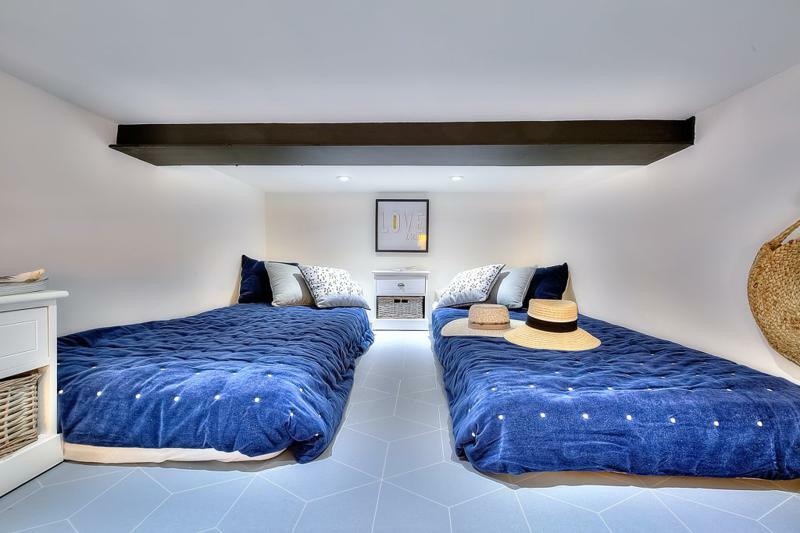 Good news folks, you can easily sleep 4 people in this unique and classy Central Cannes studio accommodation! 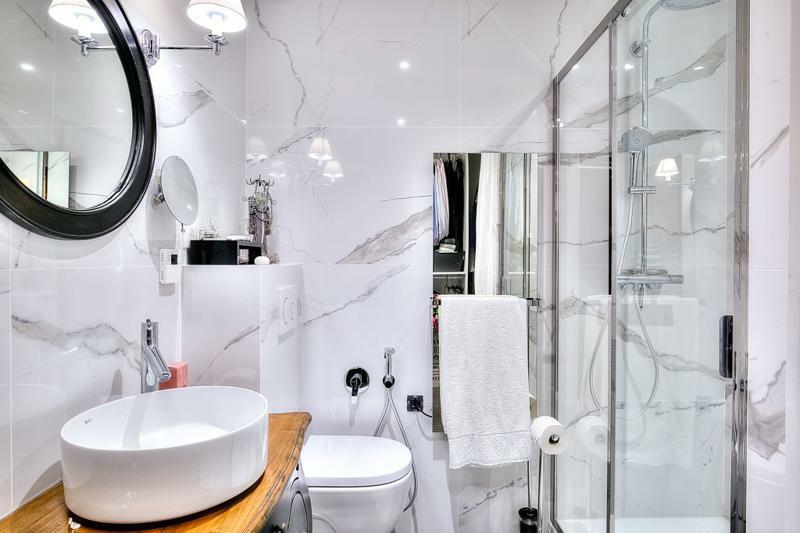 The bathroom is tiled with white marble and consists of a glass-enclosed shower along with a toilet. For extra convenience, there is an additional guest toilet at the entryway.